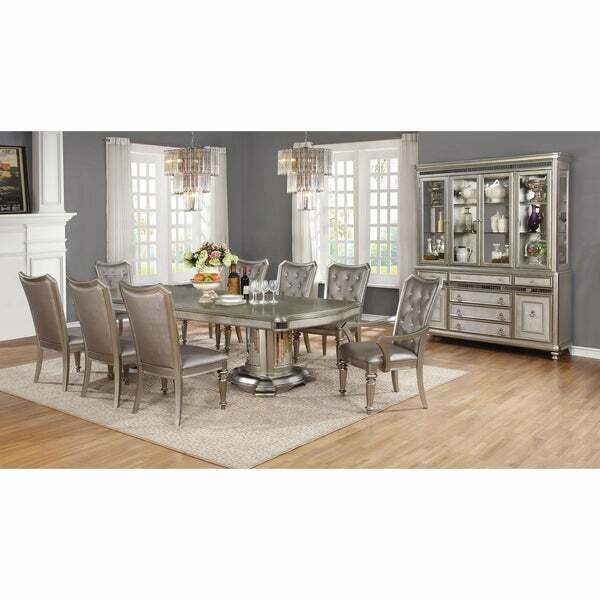 Dinner makes a grand entrance at this metallic dining table by Danette. Twin mirrored pedestals are robust with Hollywood glam detail in a platinum finish. Dimensions 100.0 In. X 45.75 In. X 31.0 In.